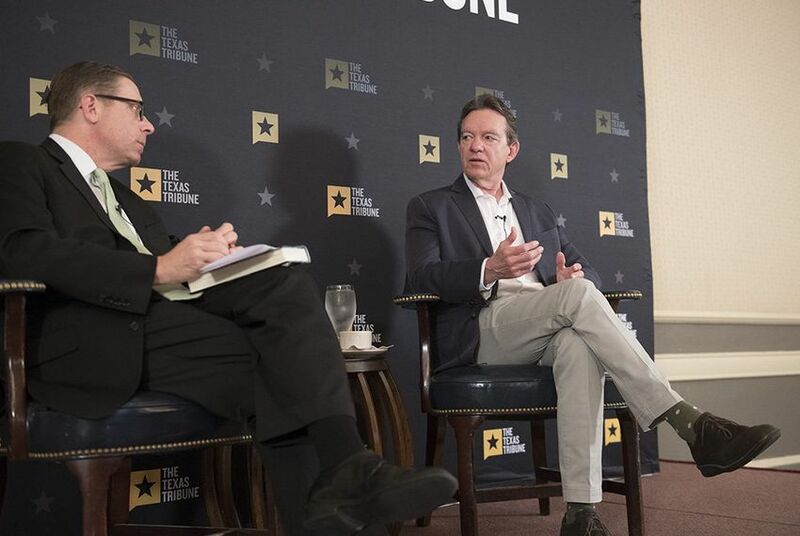 New Yorker staff writer and Pulitzer Prize-winning author Lawrence Wright said Thursday morning he considered running for Texas governor this election cycle. Wright told Texas Tribune CEO Evan Smith that he considered running against Republican Gov. Greg Abbott following a legislative session in which social conservative issues like the "bathroom bill" went unchallenged by the governor. He said he discussed running at a time when the governor didn't seem to have any Democratic challengers. "There was a period of time where nobody was going to challenge the governor — because he's unbeatable," Wright said. "I thought it shouldn't be the case that he's not challenged." Wright is a staff writer for The New Yorker, a screenwriter, a playwright and the author of 11 previous books, including "The Looming Tower: Al-Qaeda and the Road to 9/11" and a new book about Texas, "God Save Texas: A Journey into the Soul of the Lone Star State." He said he was ultimately overruled by his family. “To be honest, the chances of winning that race were slim, but I thought it was worth providing a contribution — a voice," he said. Ultimately, Wright said his family was concerned about the loss of privacy in a potential campaign. A handful of Democratic candidates ended up entering the race. The two most prominent — former Dallas County Sheriff Lupe Valdez and Andrew White, the son of former Gov. Mark White — will square off in a runoff for the Democratic nomination on May 22.